A modular system rich in poetry. Valises combines to form a complete wardrobe system created to safeguard garments, shoes and accessories in style. 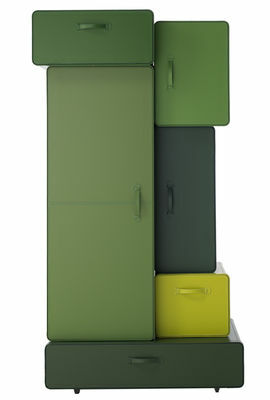 The various ‘suitcase' modules are covered in recycled leather. Valises is a nod to the elegance of by-gone eras with a modern and fun twist. 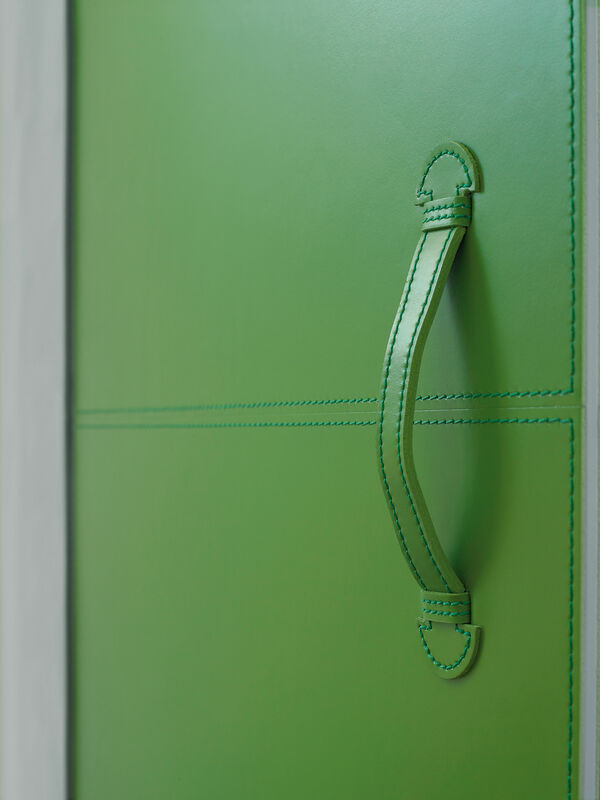 The design evokes the luxurious atmosphere of stylish leather suitcases. 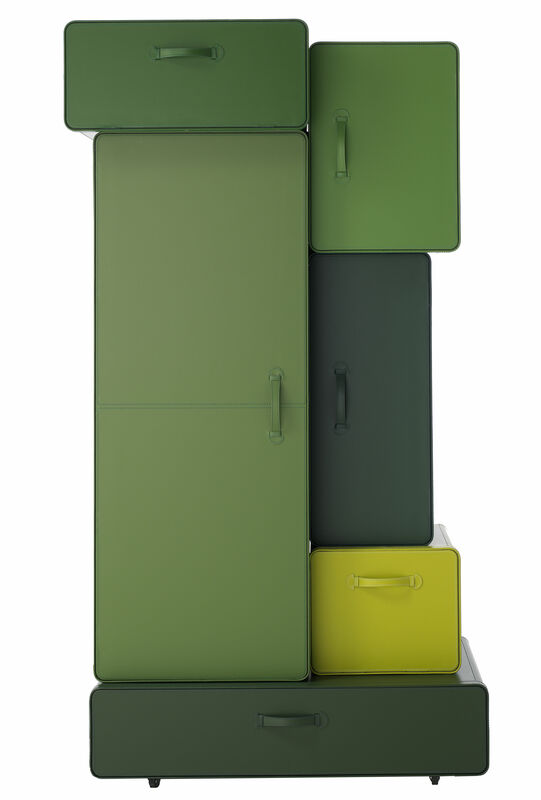 The wardrobe is an assemblage of six modules, each specifically designed to accommodate a type of garment. 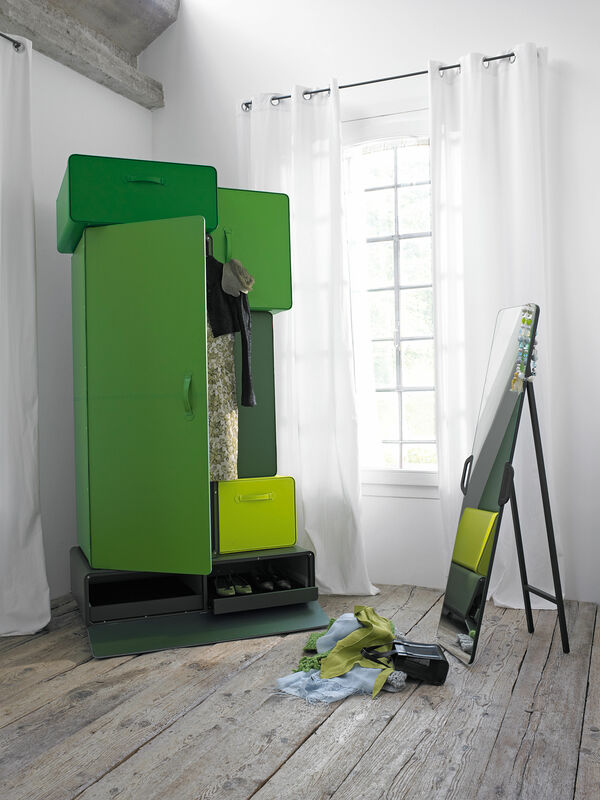 A puzzle that provides a place to store your most beautiful suits or dresses, your most precious shoes, your loveliest hats, The design wanted to design a dynamic and flexible storage system, the opposite of those big and heavy wardrobes, which are difficult to transport.